Parallel slide and tilt door PSK|70 is based on the window system AS|70. Available are the profile contours Cava, Rondo and Classic which are identical with the window system, so that the elements are easily combined with other opening types. A Large selection of colors and wood finishes for a individual design of the element. At the same time, the versatile vent seal and different security levels offer optimum comfort and safety. 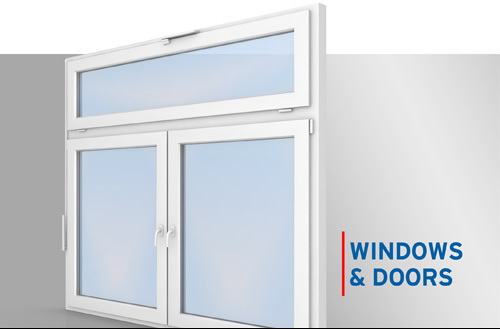 With well thoughtout PVC multi-chamber profiles, a wing-depth of 70 mm and high-quality insulating glass, the HS|70 reaches the excellent thermal insulation properties of modern window constructions (Uw<=1,4 W/m²K)*. The sliding system S|74 is based on the Profile System AS|60 and is used as a patio door, porch or separator. Narrow face widths for maximum light and also maximum flexibility and functionality at low costs are the hallmarks of this system.